Kima Cargill is a professor of clinical psychology at the University of Washington Tacoma. 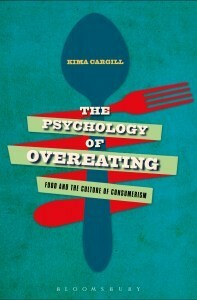 Her research examines how overeating is influenced by living in an affluent consumer culture. Librarian Justin Wadland interviewed her about her research. Justin Wadland: What aspects of your research are you most passionate about? 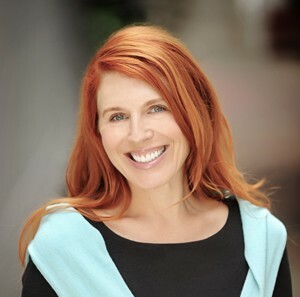 Kima Cargill: I’m most about passionate understanding how consumer culture has taken over our psyche in many ways without us ever realizing it. I want to uncover how consumer products, marketing, and advertising take over identity. My work for the past several years looks into the ways consumer culture and the food industry have created the tremendous public health crisis of overeating. A lot of people think my work is about food, but it’s not just that. I’m looking at how rampant consumerism affects us psychologically. More recently, I’ve been looking at how Psychology itself has been commercialized and made into a product that doesn’t necessarily improve our well-being or live up to promises it makes to people. In a lot of ways, it’s cheapened the discipline. What impact has your research had on your daily life? A lot of the time I tell people that I’m on a diet of spite. I get so angry when I learn about the tactics that food marketers — and the pharmaceutical companies, as well — use to get people to buy products. I’m so outraged that it makes me not want to give money to these companies. I think hard about where I put my dollar. We generally feel better when we spend money on experiences rather than consumer goods. My research makes me more careful about how I spend money. What has been one of the unexpected outcomes of your research? What has surprised me is that I wrote a book for an academic audience — and my talk at town hall was a synopsis of that book — and I’ve been surprised and touched by the random emails I’ve gotten from ordinary people who have read my book or watched the presentation. One person wrote this week that as a result of my work, the connection between the food and pharmaceutical industries finally clicked for him. The highest compliment is to have someone tell me I articulated something that they almost knew but hadn’t quite arrived at on their own. If you were going to recommend someone new to your work to read single book or article, what would it be? Why? I’d recommend my book because it was a real departure from my previous publications. Everything before it was more esoteric and full of jargon for insiders in the discipline, and I decided to do something different and have my natural voice come through. It’s more accessible and polemical, and it’s very timely to call out the health risks of our consumer culture, especially in light of the Occupy Movement and the discussions about income inequality. It seems like there is much more global awareness of the effects of consumerism—even Pope Francis has made this central to his message. Name one work—book, movie, song, anything—that has had a biggest influence on you. This is not a model but an influence. One of the first articles I read in graduate school was “Why the Self is Empty” by Phillip Cushman. (By coincidence he lives out here and has taught for UW Tacoma.) That article really opened my eyes to the way our personal psychology develops within consumer culture, within what some people call the culture of narcissism. Also, it very honestly said the discipline of Psychology was complicit in the problem. That article had a profound effect on my understanding, and I think I cite that article in everything that I’ve written. I’d call it a seminal work for me, and I’d credit Dr. Cushman in my intellectual development. Learn more about Kima Cargill’s research. This entry was posted in Faculty Interview and tagged Consumerism, Existentialism, Marketing, Overeating, Well-being on March 15, 2016 by taclibdc.